Following the launch of Apple’s second-generation wireless AirPod headphones earlier this week, Best Buy Canada has discounted the first-gen AirPods. The Bluetooth earbuds can now be purchased online or in-store for $199.99 CAD (regularly $219.99) until March 27th. The new AirPods also cost $219.99, although Canadians can pay $269.99 to get the headphones with a wireless charging case. 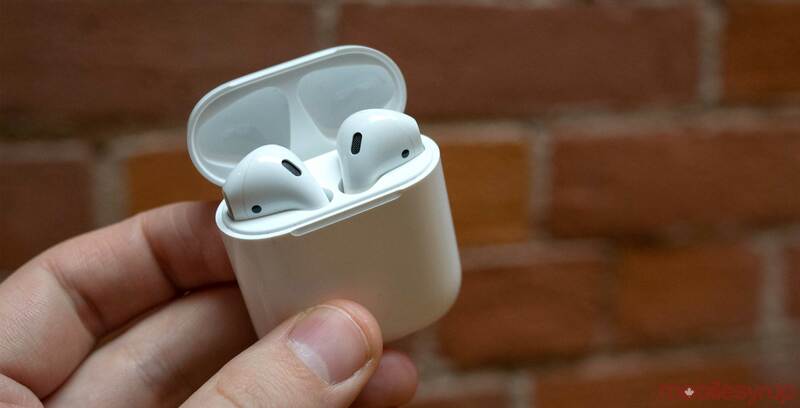 Apple has also confirmed that the first-gen AirPods have been discontinued. The second-gen AirPods, meanwhile, feature Apple’s new H1 chip and hands-free ‘Hey Siri’ support.